Take advantage of huge savings when you purchase the All Lines, Adjuster 101 and Xactimate classes in this bundle package for $599.00! 3-Day course to be taken to obtain an All-Lines Adjuster License in the State of Texas. 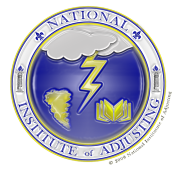 1 Day Class to help newly licensed adjusters get a sense of what to expect in their new career. This 2-day class teaches students the basic fundamentals to the insurance industry's leading software program for property estimating. 3 Day Test Prep Course to help students pass the New York Independent General Adjuster Series 17-70 Exam. 3 Day Test Prep Course to help students pass the Texas General Lines Property & Casualty Agent Exam. Come join us for this 2-hour CE class (approved by TDI) pertaining to losses that occur under the Homeowner's Policy HO 00 03 10 00. Class time starts from 1PM-3PM. Come join us for a 3-hour CE class that satisfies your requirement for Ethics. Class time starts from 9AM - 12PM.